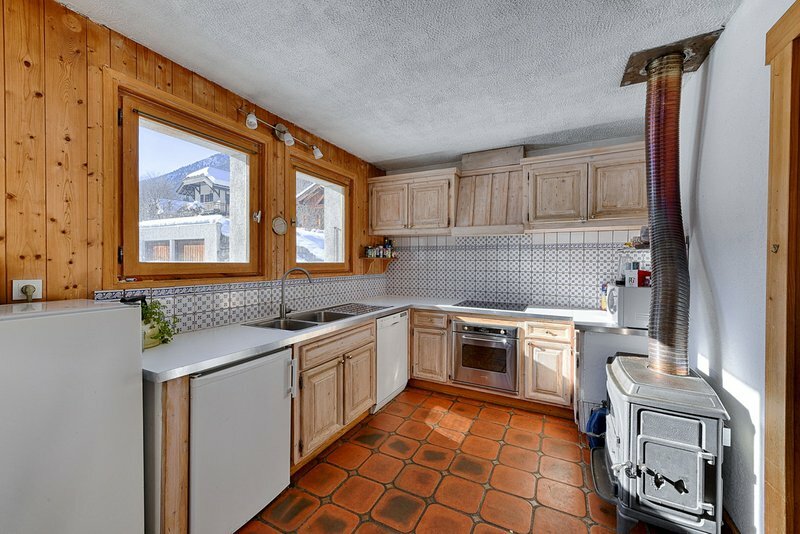 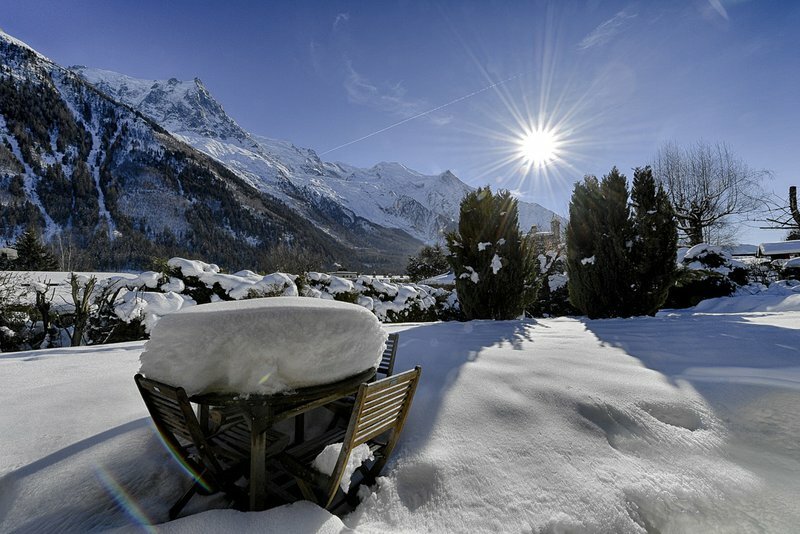 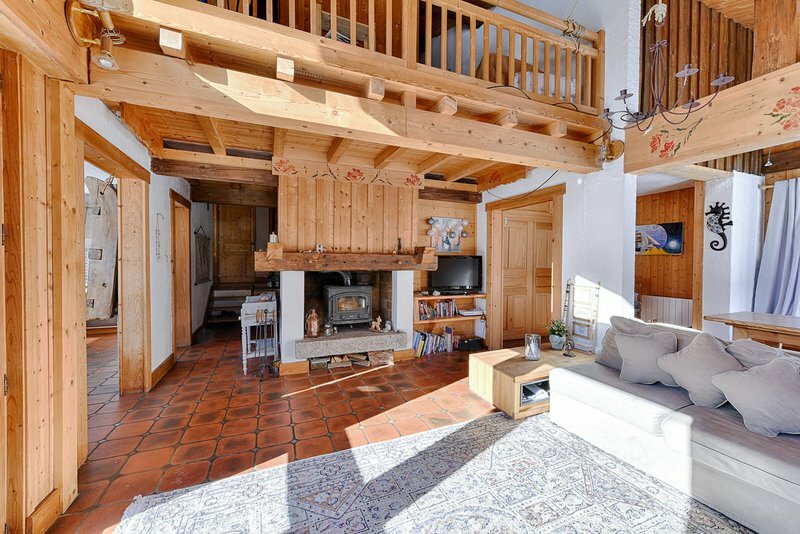 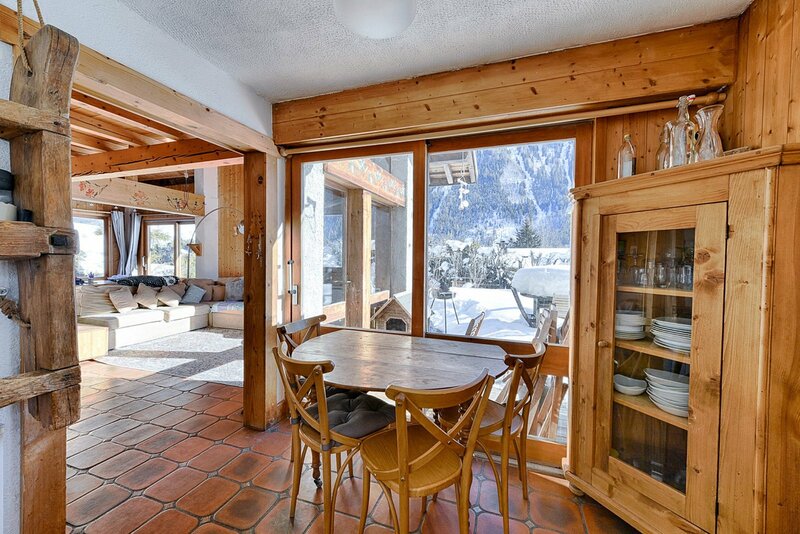 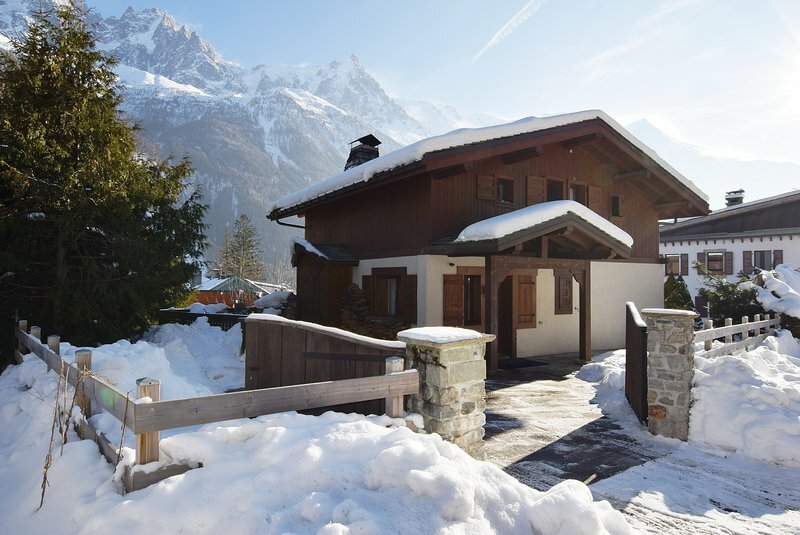 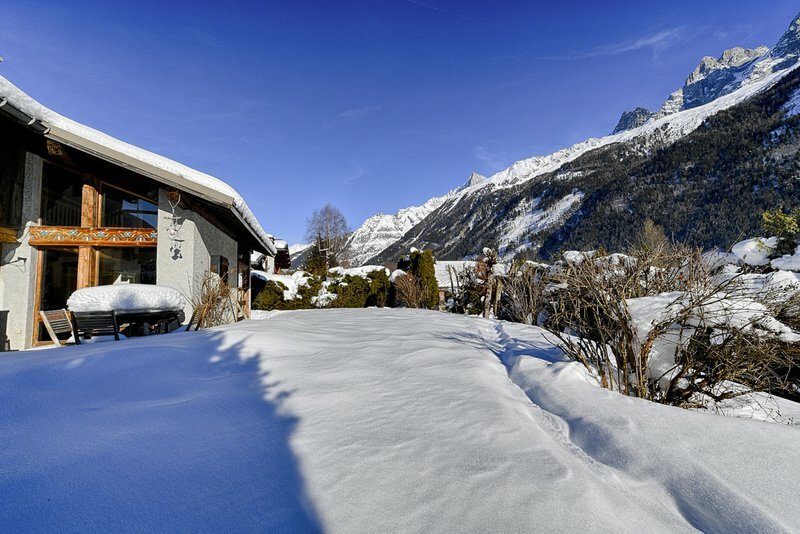 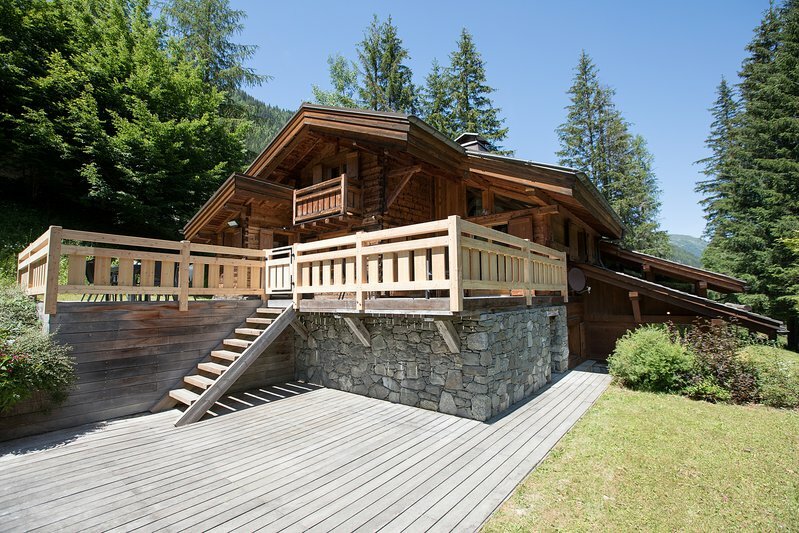 A 4 bedroom chalet in one of the most sought-after areas of Chamonix - sunny and central. 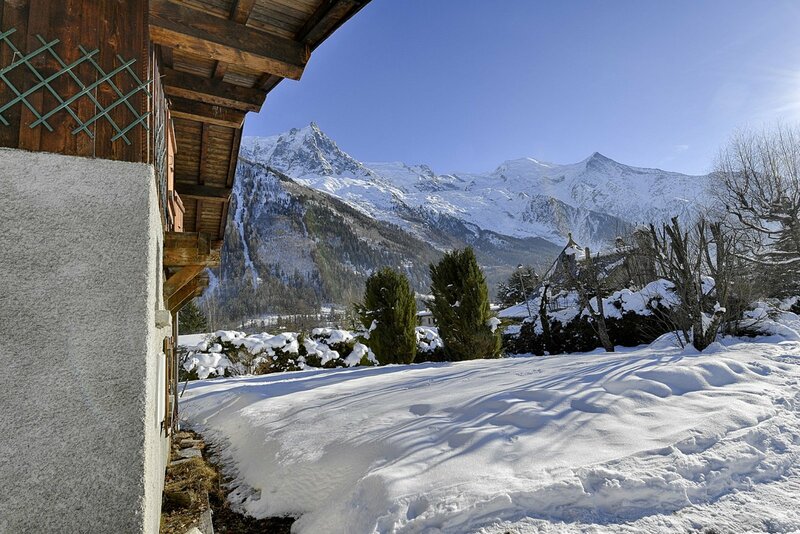 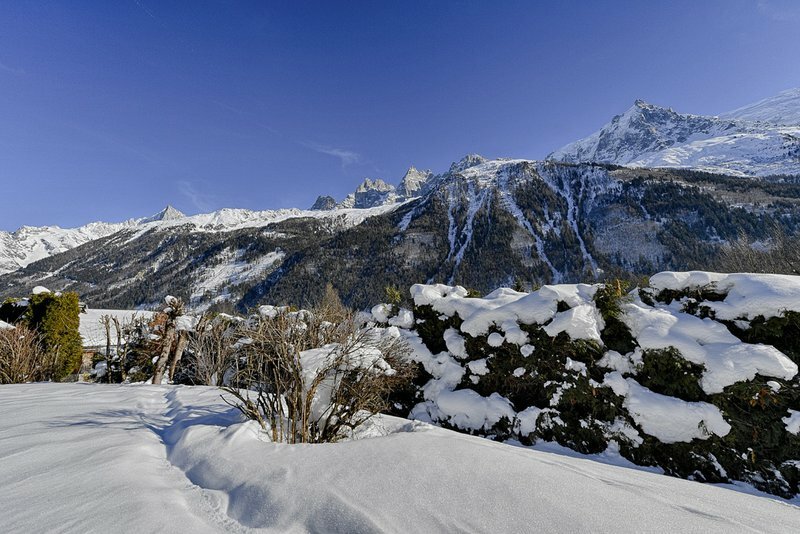 The south-facing chalet has a good-sized flat garden with superb views of les Drus and the Mont-Blanc. 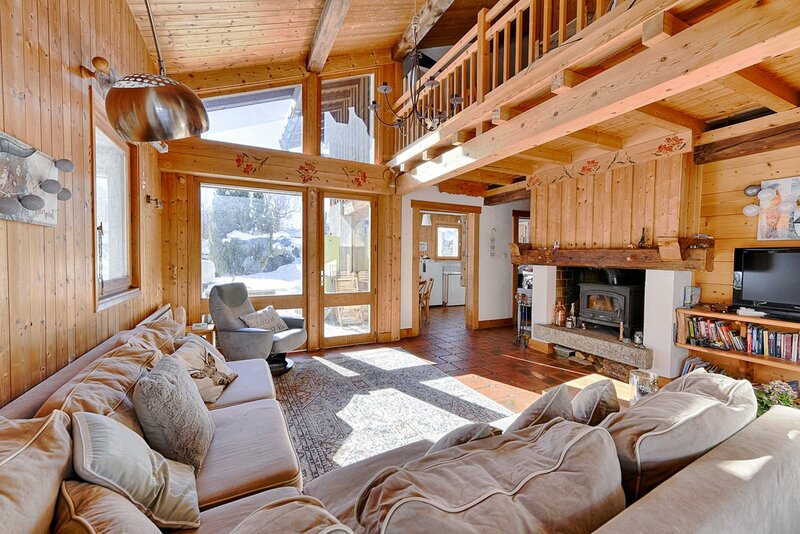 The ground floor comprises a kitchen, living room with large fireplace and dining area, a bathroom and a laundry room. 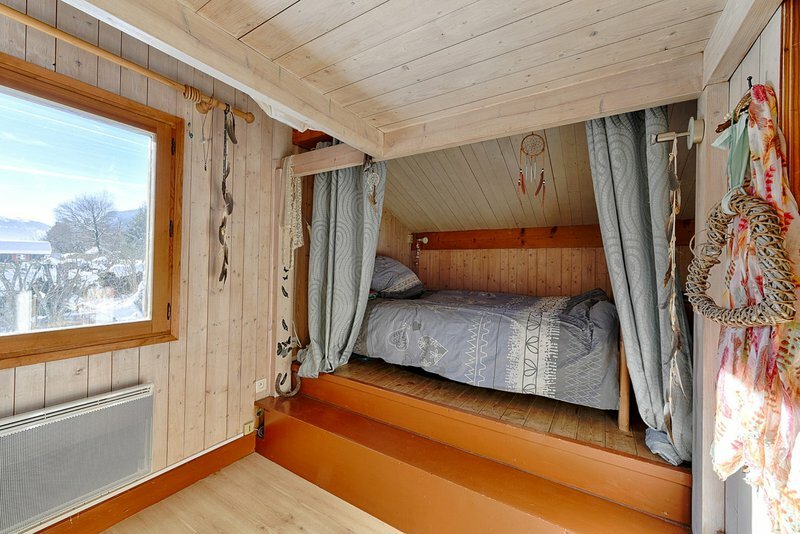 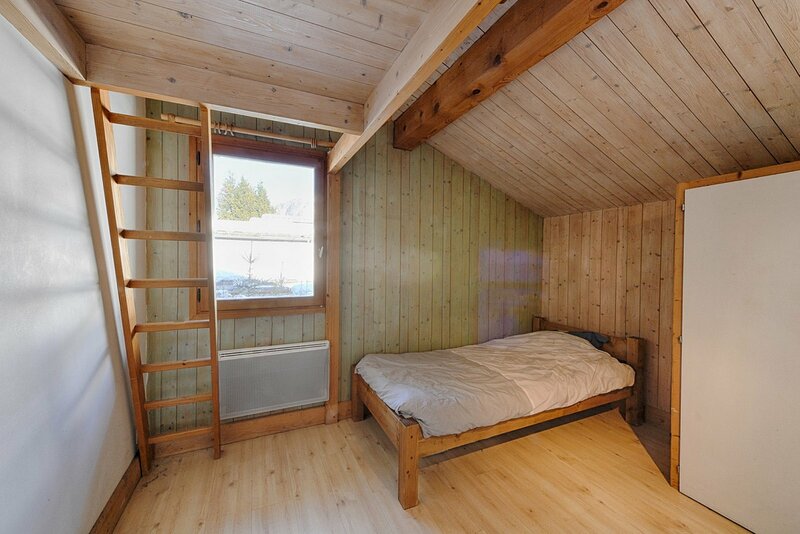 Upstairs, the chalet has four bedrooms and a bathroom, and additional storage areas. 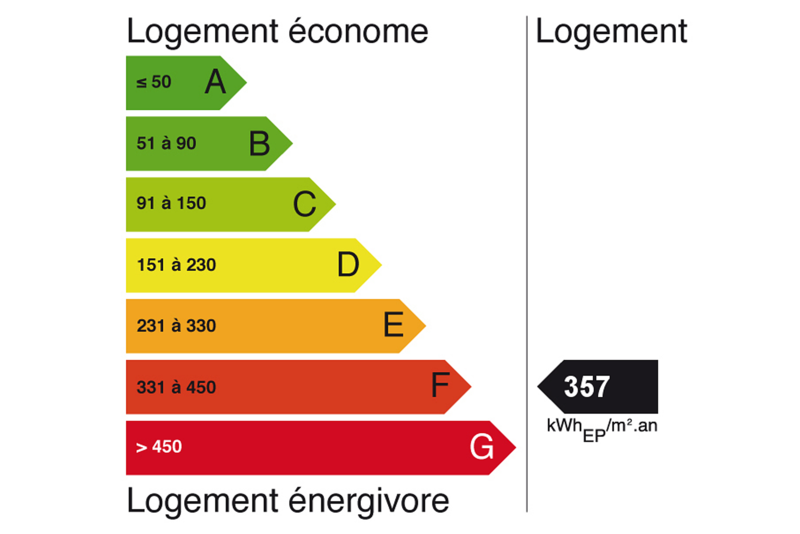 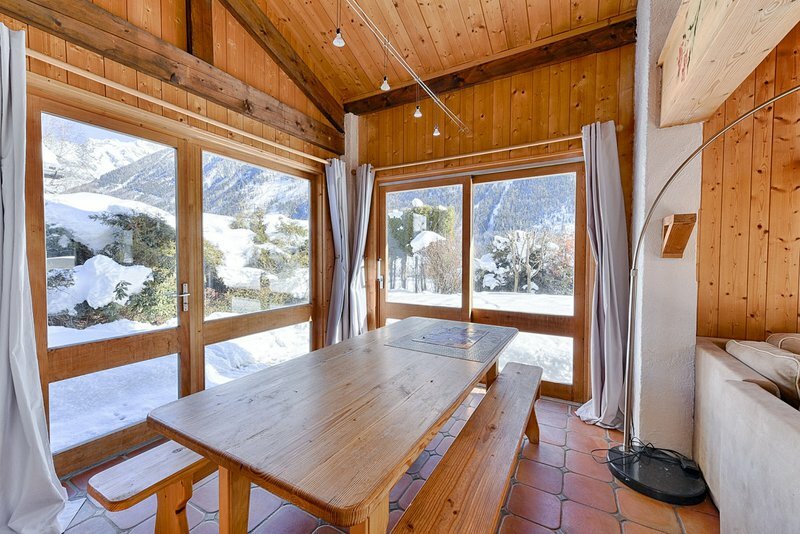 The chalet retains some building rights. 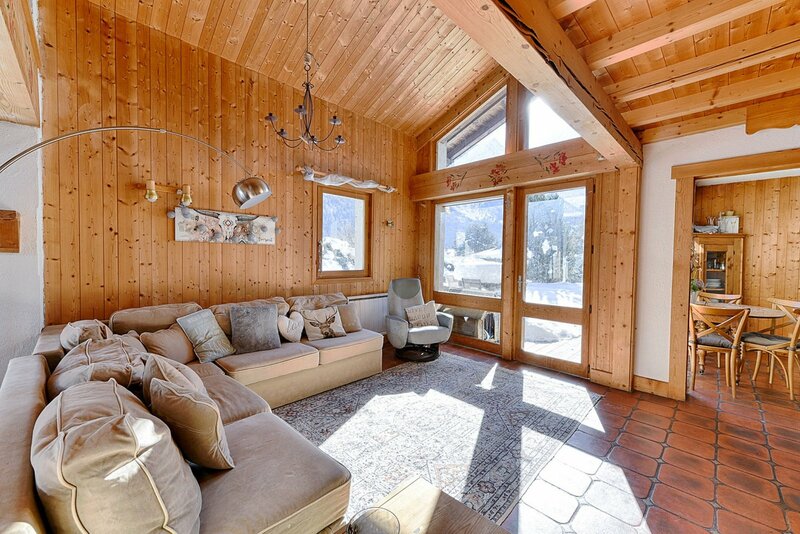 This chalet is perfectly located, close to town and skiing, and with fabulous south facing views. 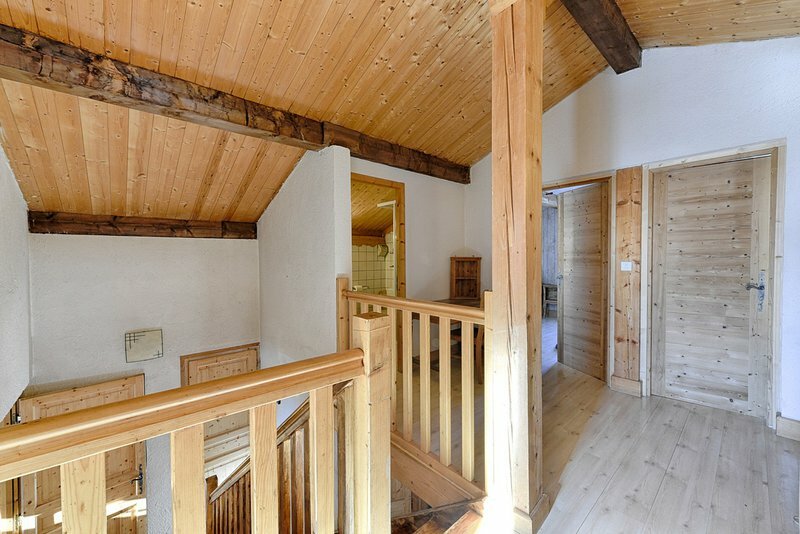 It requires significant renovation work but has a lot of charm and potential for extension. 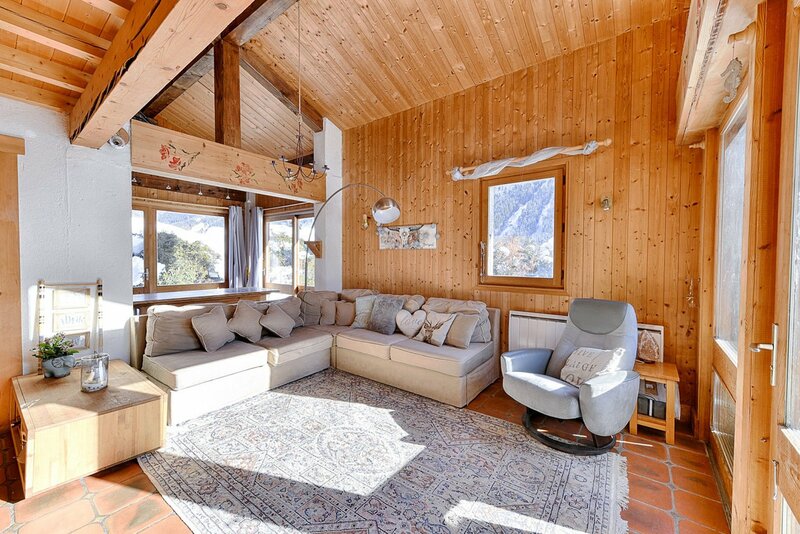 Agency fees are included in the price and payable by the vendor. 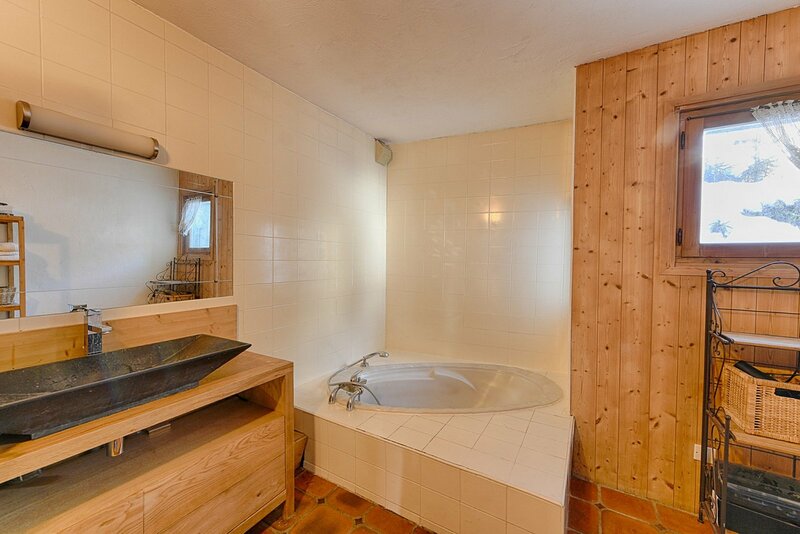 Delegated sales instruction. 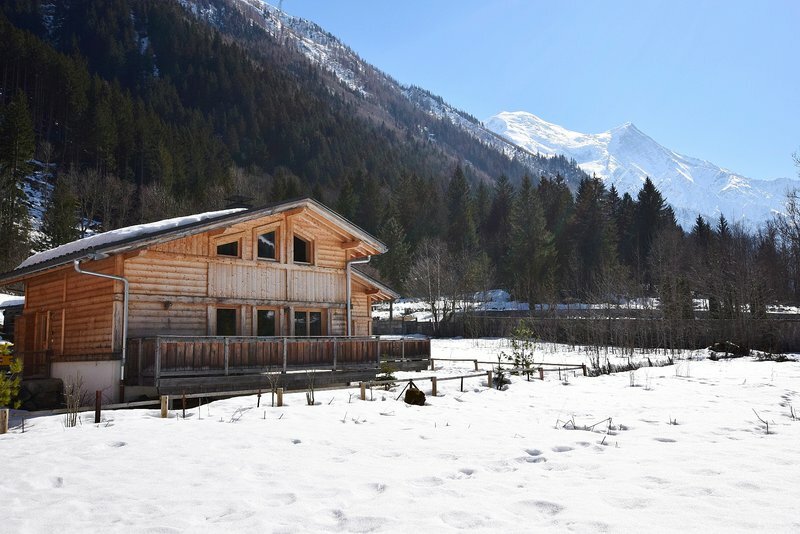 Chalet Moussoux is situated in the sought-after, sunny area between Les Pècles and Moussoux, a pleasant 5 minute walk from the centre of Chamonix. 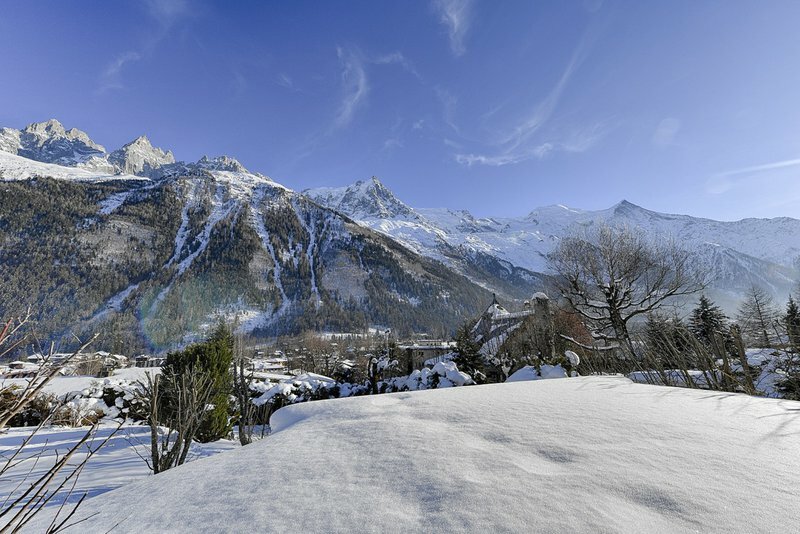 For skiing access the nearest lift is Brevent, a short drive from the chalet and the nearest bus stop is very close to the chalet, giving easy access to the entire Valley.